Lola is around 9 months old, and found her forever home 6 months ago. She is an indoor cat as she is FIV positive but rules the roost in her new home. 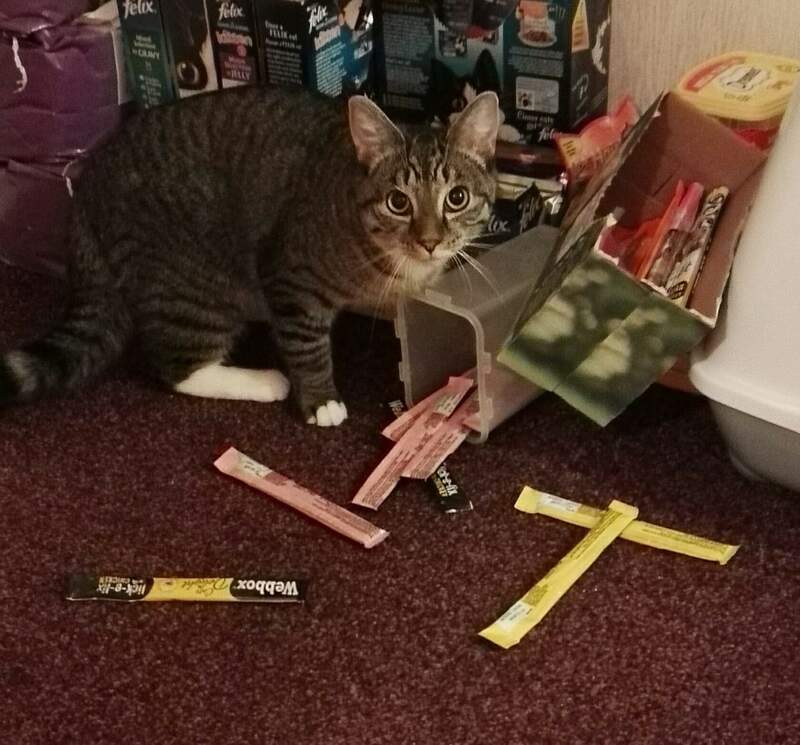 Her photo shows her guilty little face as she is caught in the act. She certainly seems to have settled in to her wonderful new life.